Dance United is interested to hear from people who have a keen interest in dance and who wish to work with our client group. Dance United is currently developing a pilot project to take place later this year to work with young adults aged 18 – 35 who are accessing mental health services in South London. This research project is a unique collaboration between Dance United, The Institute of Psychiatry at King’s College, London, frontline mental health clinical teams – SLaM (South London and Maudsley NHS Foundation Trust), voluntary organisations including two major charities (Bipolar UK and Rethink Mental Illness), Maudsley Charity and Guy’s & St Thomas’ Charity. The pilot project will run from November until December and will present new work created specifically for this project by Dance United Associate Artist Dam Van Huynh, and Dance Directors Carly Annable-Coop and Ellen Steinmuller. You will join the 4-week programme beginning on Wednesday 27th November 2013. 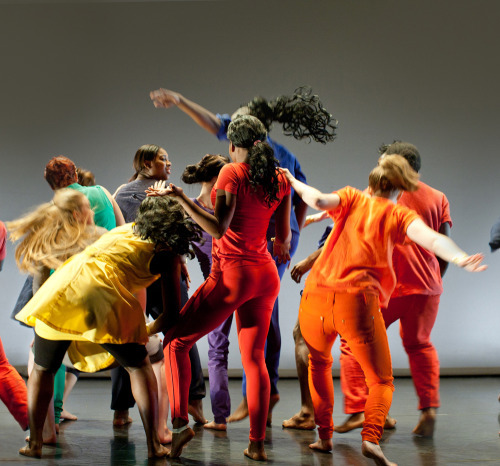 You will engage in intensive Contemporary Dance Training for the duration of the programme and need to be available full time, Monday to Friday 10am to 4pm, between 27th November and 18th December. Taster sessions will run on Monday 25th and Tuesday 26th November – as a Role Model we ask that you attend one of the two days. Dance United’s project is physically stimulating and role models will gain mentoring experience, technical and choreographic skills whilst engaging with the young adults, professional dance artists, clinical practitioners and support managers. You will receive mandatory training on the 21st and 22nd November. The young adults Dance United works with may have challenging behaviours and complex needs so it is also important that the right candidate has a strong character and can handle being in situations that can sometimes be stressful and challenging. It is equally important that the role model is reliable, holds an excellent attendance and punctuality record and has a positive committed attitude. Call for Co-labourers | Month of Performance Art-Berlin / May 1-31, 2014 | 4th edition. *deadline August 31st.